Sometimes some Data can be very crucial and sensitive factor for us. Some data can be made public and some can be shared with a specific group of people, whereas some data are extremely private and should be hidden from people. Most of us use some kind of software to hide or lock our data in our Computer. But there is no need of installing any 3rd party applications for this job, Microsoft Windows itself has these features integrated by which you can restrict access or hide any file/folder or the whole drive if you want. We will discuss here how we can do this. It won’t be so difficult, not even risky. You can do it on your own whenever you want by following this article. Also, you can unhide that when you want. We can do this by many methods, We can do it manually from Disk Management program, or by command prompt or by Group policy editor. Command Prompt is a very powerful tool given by windows, by this we can do almost everything if we have knowledge of windows commands. 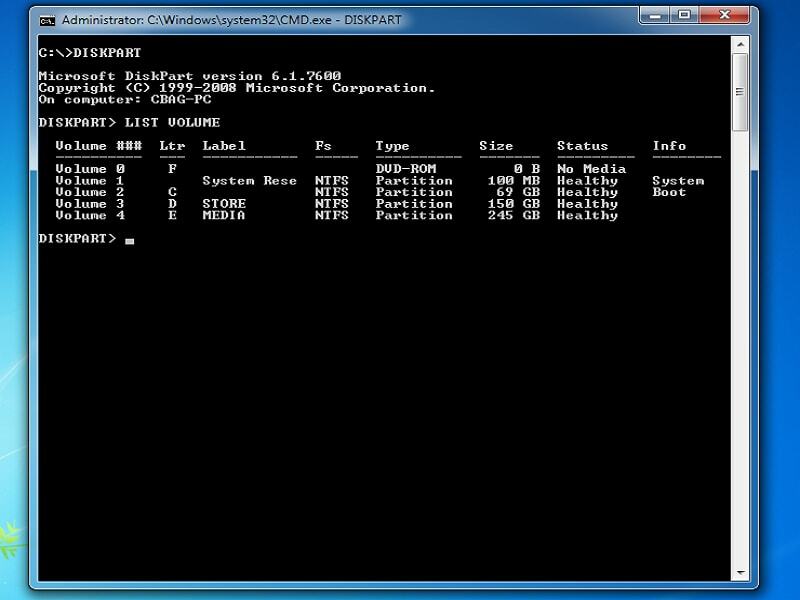 We can also hide or unhide one or more drives of our computer by cmd with DISKPART command. No one can see that specific drive in your windows explorer if it is hidden, but the other drives will be visible as usual. Let’s see how to do this. 1)Open CMD: Press Windows key and R at a time. “Run” program will open. Type cmd there, then press Enter to open the command prompt. Or go to start menu and search CMD there. 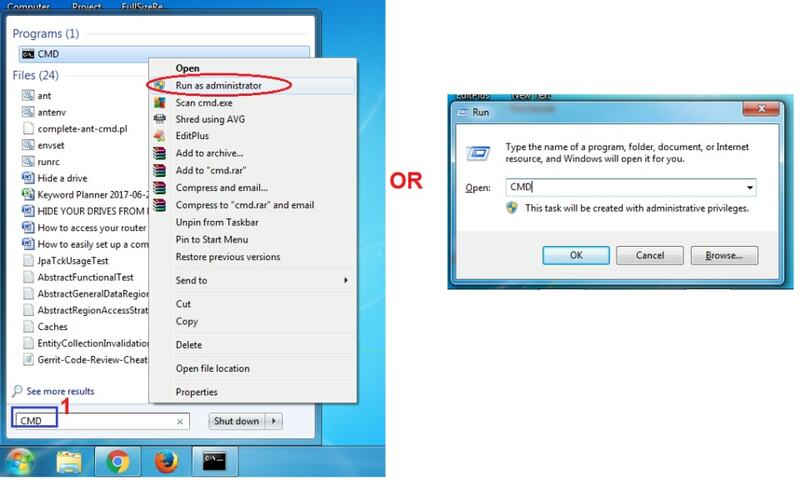 CMD will come at the top, Right click on that and click on Run as administrator. 2) Type DISKPART in that cmd panel and press Enter. It will take 5-6 seconds to open. 3) Once diskpart is opened type LIST VOLUME and press Enter key. It will list down all the drives you have in your computer. If you have any external drive or pendrive connected to your computer then it will also be listed there. 4)Select a drive you have to hide:– By the previous step, all your drives will be listed like Volume 0, Volume 1, Volume 2 etc. Find out the drive which one you have to hide and note its volume number. Then type select volume * ,where * is the volume number and then press enter. For example: Here I have to hide E drive which is listed as volume 4 then I will enter select volume 4. You will get a message as “volume 4 is the selected volume”. 5) Now you have to hide that. To hide it type remove letter *. Where * is the drive letter. For example here I have to hide E drive so I ‘ll enter remove letter E.
You are done. Open My Computer to check, You won’t see that drive anymore. Follow up to step 4 explained above. 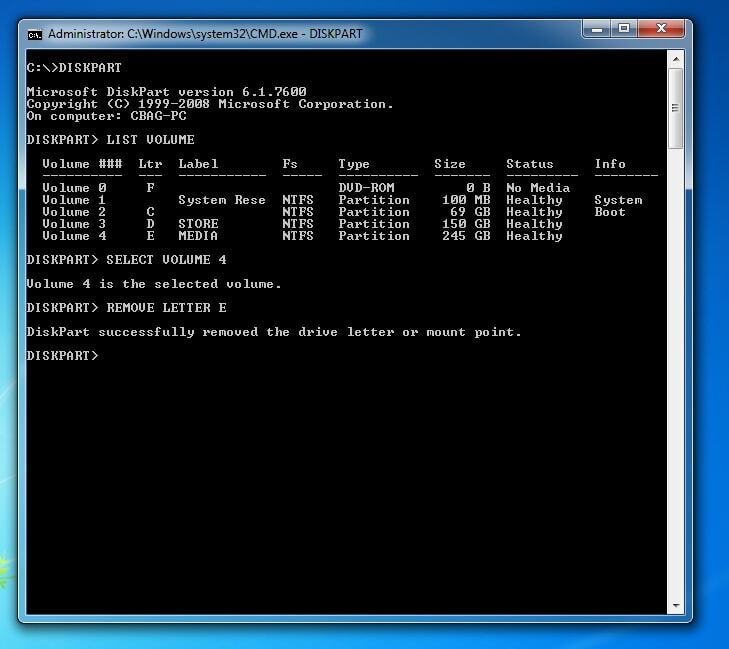 Once you selected the drive which is hidden and you want to unhide it, Type assign letter E, and then hit the enter key. Here in the place of E, you can assign any letter you want, but that letter should not be already assigned to any other drives. By this process, you can protect your Data present on your computer from people. Put all your sensitive data in one drive and hide it when you don’t have use of those data. A drive can not be accessed when it is hidden. Then unhide it when you have to access the data in it. The fact behind this is very simple. Your windows explorer recognize any drive by its drive letter. So if you remove the drive letter of a drive then it will be considered as unassigned and windows explorer won’t list it as a public partition. This way this drive can be hidden from the user even when it will be present there on your hard disk. Thank you for visiting our site. Hope this information would be helpful for you. Sarahah- What is it, How to use sarahah ? salman on How to make a bootable pendrive unbootable? TechInTangent Copyright © 2019. All Rights Reserved.